I want to do everything with my board ! What I like most of all is wild mountain. I want a pure and versatil powder board ! 300% pleasure... Happy Birthday ! After 20 years of shaping powder boards, to celebrate 10 years of the brand, we could only imagine the funnest, the most beautiful and best board we've ever made! The anniversary is a mix of all our best concepts for powder, a well drawn out Cyrano Nose, a Mixtic Camber, a double rocker made for big boards, our No Core bringing powerful support keeping a light core, all of this in a finely cut shape, kind of like an E-type Jaguar, racy and refined. Birthday board, birthday price... It's our 10 year present ! won't believe it, until you've tried it.. Token expired, it happens in each 60 days or you didn't connect yet, please connect instagram from module setting again. 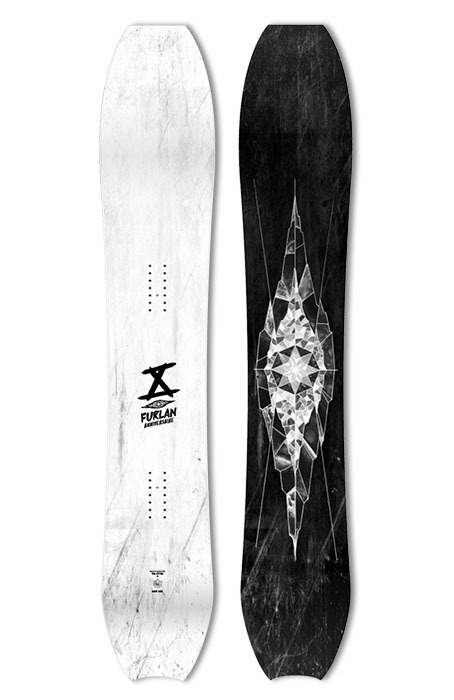 Since 2008 Furlan Snowboards is a family snowboard brand. We design, manufacture and sell snowboards for all programs, always the time searching for versatility and perfect shape for powder.